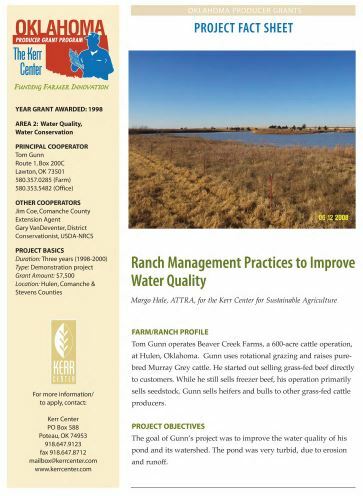 This fact sheet describes the Oklahoma Producer Grant project of rancher Tom Gunn, who undertook several practices – including permanent sod, limited-access watering points, and buffer strips – to improve water quality in his pond. 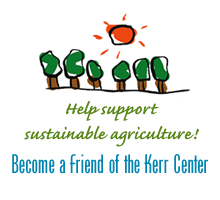 The importance of making adequate, clean water available to cattle year-round was the focus of the Kerr Center’s Water and Livestock Workshop on Saturday, June 11. Folks from Oklahoma and Arkansas listened to experts from the center and OSU Cooperative Extension explore water quality and ways to keep water clean on a working ranch.